The American carmaker's first India-assembled SUV gets a lot of technology essentials, but is focusing on the drive and the brand value to make it big in the country. Jeep has finally launched the Compass SUV in India. After reentering the country with the Wrangler Unlimited and Grand Cherokee CBU imports, Jeep failed to price the SUVs competitively, which kept its buyers largely at bay. Now, with the Compass, Jeep is assembling it at its assembly factory in Ranjangaon, Maharashtra. The company has priced the SUV incredibly competitively, with prices for the basic trim beginning at Rs. 14.95 lac and going all the way up to Rs. 20.65 lac for the fully loaded trim. 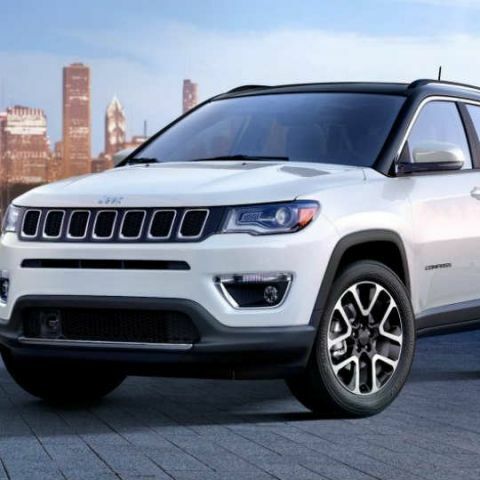 With the Compass, Jeep will be looking to challenge the established players like Toyota and Ford in India in the widely competitive SUV market. The Compass includes a wide range of features and technology that has all the essential technologies, alongside capitalising on the weight of its brand name to create its own niche. The Jeep Compass will have two infotainment trims adorning its three variants of the Compass - Sport, Longitude and Limited. 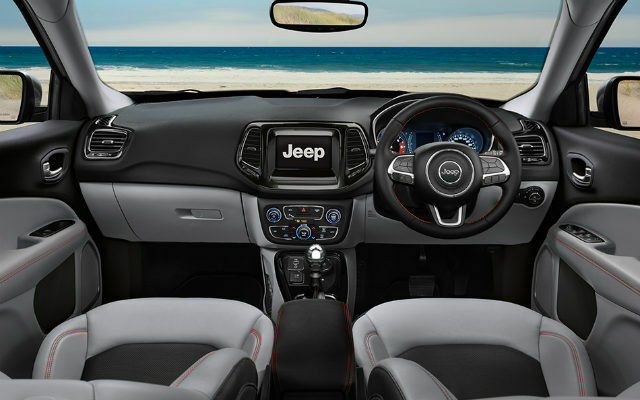 The Jeep Compass Sport gets a 5-inch infotainment system based on Jeep’s proprietary firmware, along with touch and pinch zoom controls, Bluetooth connectivity, phone-based and integrated voice command control, inbuilt Compass navigation system, two USB ports and an aux-in as physical connectivity interfaces, and a four-speaker audio setup. It also gets a 3.5-inch multifunction display in the instrument cluster that can be customised by owners, a full-length front console with storage space, acoustic windshield for better NVH insulation, electrically adjustable mirrors and a host of safety features including active turning signals, electronic park brake, ABS with EBD, ESC, electronic roll mitigation, hill start assist and more. The middle trim, the Compass Longitude, gets pretty much the same equipment list inside its cabin, except for two more speakers, a push start button, cornering and rear fog lamps, and reverse park assist sensors and standard inclusions. 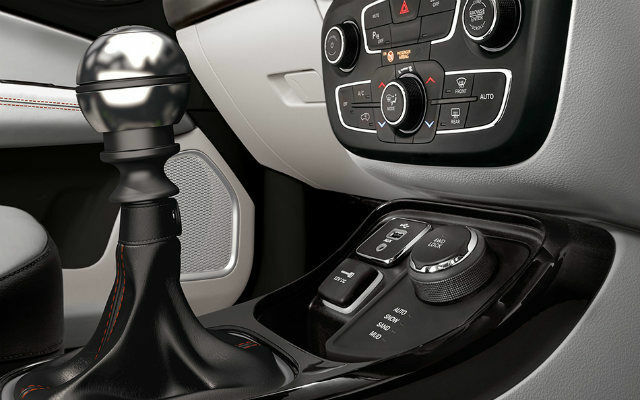 In optional inclusions, the Compass Longitude gets a bigger, better infotainment system with a 7-inch touchscreen interface built on Jeep Uconnect firmware, Android Auto and Apple CarPlay, dual-zone automatic climate control unit with touch-based automatic controls, activated carbon air filter for in-cabin air purity, and bi-Xenon HID headlamps. 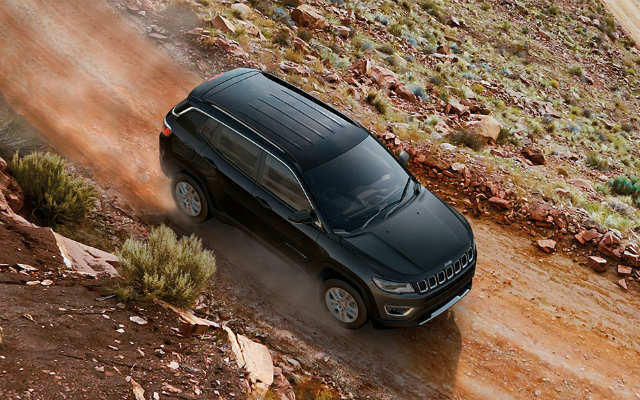 The top trim - the Jeep Compass Limited, gets all the optional features of the Longitude, along with a rear parking camera. 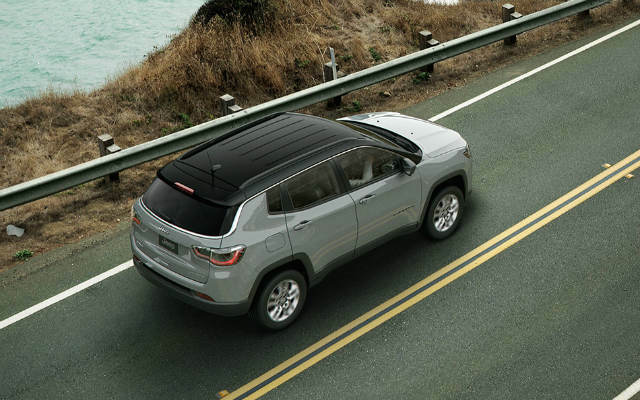 The Option pack further allows the addition of dual-tone roof colour, and the 4x4 trim brings more airbags in the safety list, and Jeep Active Drive and Selec-Terrain drive modes. All trims of the Jeep Compass will be powered by two engine variants - a 2.0-litre Multijet II diesel engine and a 1.4-litre Multiair petrol engine. The diesel engine produces 171bhp of peak power along with 350Nm of torque, and the petrol engine produces 160bhp and 250Nm of torque. Both the engines are mated to a 6-speed manual transmission, with the top-of-the-trot petrol engine also getting a 7-speed DCCT automatic transmission module. ARAI-certified fuel efficiency figures stand at 17.1kmpl for the diesel engine. With the excellent price point that the Jeep Compass is being introduced at, it is no surprise that the SUV has already garnered 5,000 pre-bookings. The company’s first competitive introduction seems to have a fairly strong ground in terms of the powerful drivetrains, the impressive features list, and of course, the brand’s weight and legacy.